Life with a pump? Hard at the moment. Trying to fast and work out basal rates is difficult at the moment, as I seem to always be high and have to correct! Trying to fast and work out basal rates is difficult at the moment, as I seem to always be high and have to correct! The idea behind fasting (no food, just sugarless drinks), is that as there is no food going in and therefore no bolusing (so no active insulin) you can see if your sugars stay stable and don’t drop or rise. 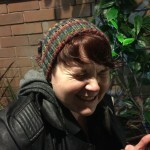 However, this is hard a) because I like food and b) because I always seem to have high sugars! Having the highs constantly means that the basal rate needs to increase but I seem to have to increase it so much at the moment I feel like I’ll never be stable! I’ve also had issues with my infusion sets. 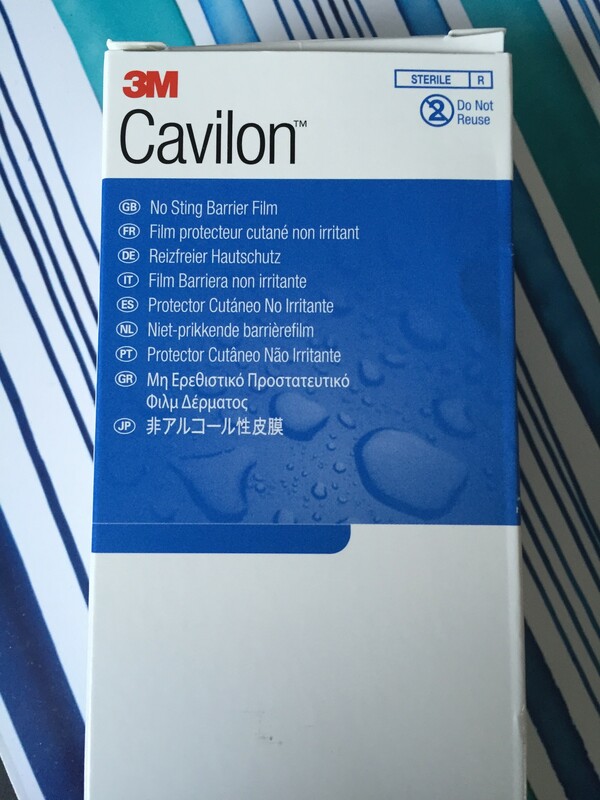 I mentioned previously that I found the Quickset a bit uncomfortable and that the seemed to be peeling off frequently. I’ve now been moved onto something called a Mio 30. This infusion set puts the cannula in at an angle of 30degrees. It also has a better connection (for me anyway!). 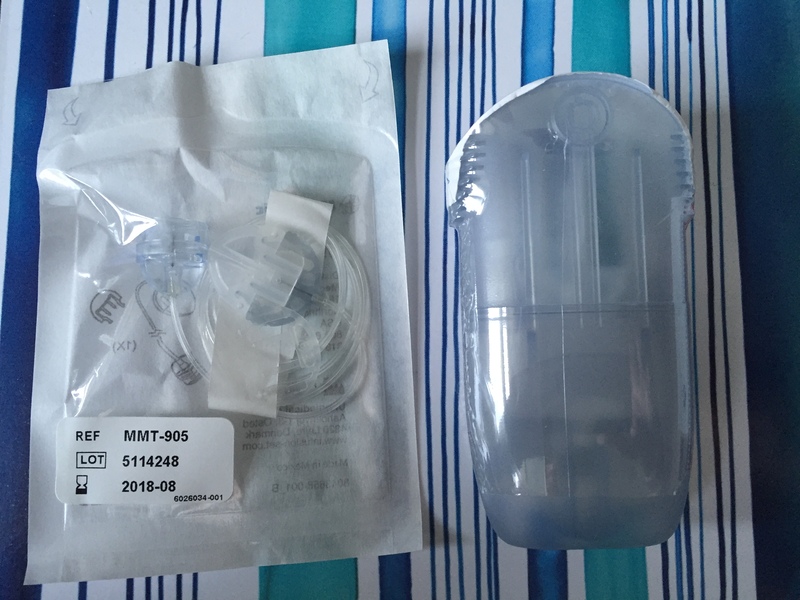 So the grey-blue plastic bit on the right has the infusion set and introducer needle in there. So it’s all wrapped up together. 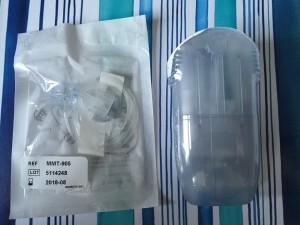 The white packet contains the tubing which has the connector to the infusion set. 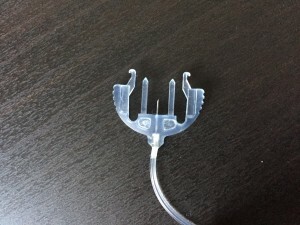 It’s a bit different to the Quickset, and I find it easier to connect and disconnect. With the Quickset it was a case of twisting the connection off. Now, it can just click out by pulling the grey/blue connection which can be seen below. 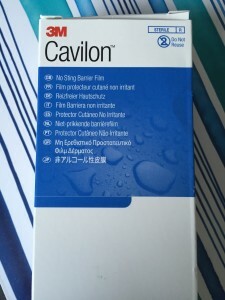 I’ve also paired this new set with something called Cavilon, which forms a barrier between the skin and the infusion set. This allows the set to stick to the barrier rather than the skin, allowing me to go more than a day without changing my set! I’m getting on much better with these sets, and I feel that they’re flatter against my skin so not in the way all the time like the Quickset! This is what they look like when attached. So I’m hoping these stay on, and that my sugars go down soon! 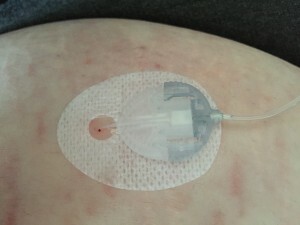 There’ll be an update soon I’m sure about CGM as I’m being put on one to see if there any trends. I’m hoping that pumping gets a bit easier, as I have been tempted to return to MDI because at least I had decent sugar levels after that! But I’m sure things will settle down soon.